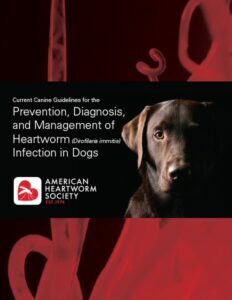 The mission of the AHS is to lead the veterinary profession and the public in the understanding of heartworm disease, and the Society continually invests in resources to help educate veterinary professionals and pet owners about the risk of heartworm disease as well as its prevention, diagnosis, and treatment. Here is an overview of what is available from the AHS and information about the upcoming Triennial Heartworm Symposium in September 2016. 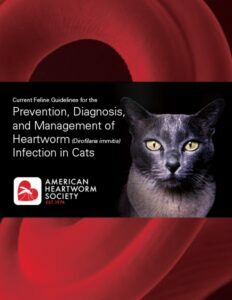 Current Feline Guidelines for the Prevention, Diagnosis, and Management of Heartworm (Dirofilaria immitis) Infection in Cats: heartwormsociety.org/images/pdf/2014-AHS-Feline-Guidelines.pdf. These detailed guidelines are reviewed and updated as needed by the AHS board, with the latest set of major updates made in 2014, and serve as references to the global community of veterinarians. They are also available in Spanish, French, and Italian. 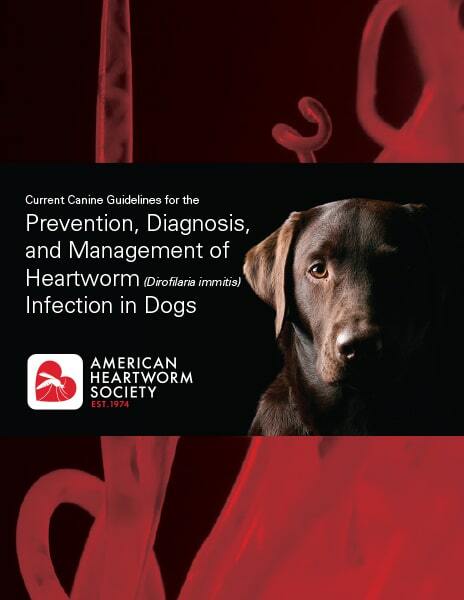 A brand-new resource for veterinary professionals is debuting in March 2016—a series of videos on heartworm topics that were filmed at the January 2016 NAVC Conference. Unlike most veterinary lectures, each of the 17 presentations is just 15 minutes in length, with speakers addressing practical subjects related to heartworm management. The talks can be viewed either on the AHS website or YouTube page (youtube.com/user/americanheartworm). Topics include diagnostic testing strategies and techniques, heartworm treatment, heartworm in nontraditional species, rationale for prevention in nonendemic areas, and client education. 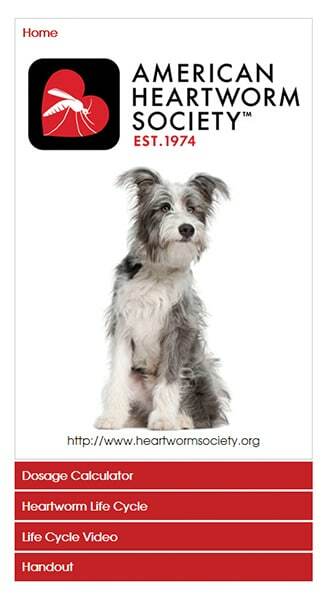 Another popular tool with veterinarians is the heartworm treatment app located at heartwormtoolkit.com. This app allows veterinarians to simply plug in the patient’s weight to create a treatment plan that includes drug dosages and timing. The single most visited page on the AHS website is the Heartworm Basics section (heartwormsociety.org/pet-owner-resources/heartworm-basics), which is designed for pet owners. Veterinarians can direct clients to the page or link to it via emails and social media. Meanwhile, AHS has a wealth of client education materials available under Client Education, listed in the Veterinary Resources drop-down menu of the website. Popular items include infographics, posters, brochures, and fact sheets—all of which can be downloaded for free and printed or shared on social media. 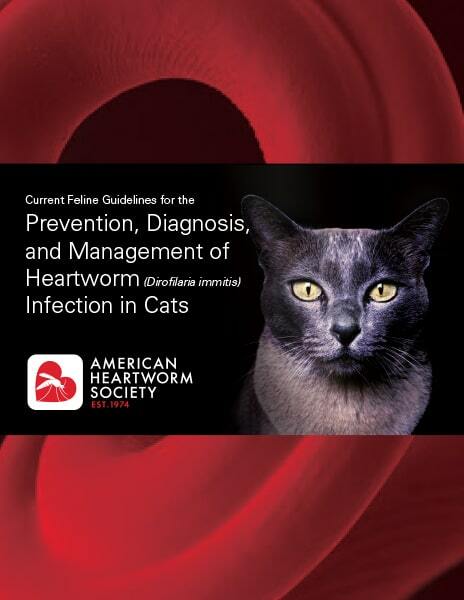 A number of client education videos on heartworm disease in cats and dogs can be found on the AHS YouTube page (see above), while client-focused slide shows can be found on slideshare.net/AmericanHeartwormSociety. Veterinarians are encouraged to join the AHS social media communities on Facebook (facebook.com/heartwormsociety) and Twitter (twitter.com/AHS_Think12). Every week, thousands of educational posts for clients—many of which feature the assets described above—are shared by veterinary practices that have joined these communities. Another important mission of the AHS is to host a leading scientific symposium on heartworm disease every three years. Veterinarians, veterinary technicians, and veterinary students can now register to attend the 2016 Symposium, which takes place September 11 through 13 at the Ritz-Carlton hotel in the New Orleans French Quarter. The scientific program is expected to cover diverse topics, including heartworm testing practices, heartworm resistance, the risks of soft kill, Wolbachia, heartworm associated respiratory disease (HARD) in cats, shelter medicine, and the effects of climate change on mosquito populations. The symposium will offer 20 CE hours to participants who stay for the entire meeting. Registrants can also opt for single-day registration if they prefer. 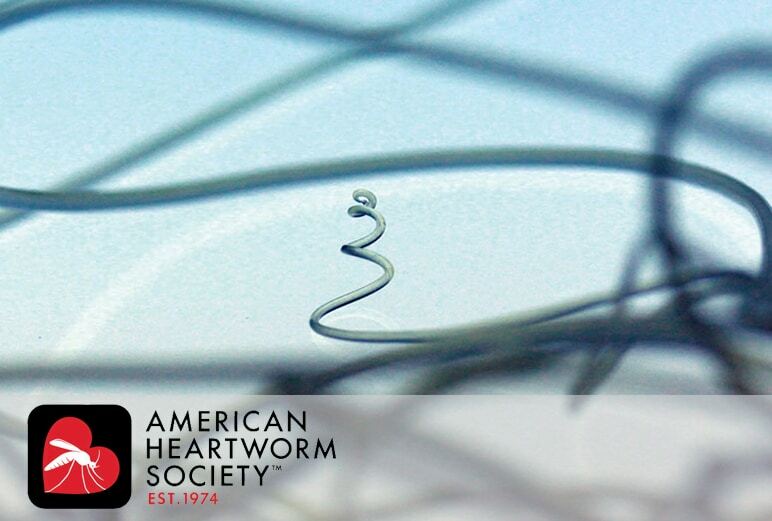 To register for the symposium and learn more conference details, visit heartwormsymposium2016.com. Both early-bird conference fees and deeply discounted hotel rates are available for those who sign up early. Special rates are also available for veterinary students and veterinary technicians. If you are not an AHS member, consider joining AHS online to receive special discounted member rates.